Jean Kazez: The Power of "How?" As a result of a recent column by Julian Baggini (lots of links here), I find myself thinking about the power of "how?" --as in, the power to induce skepticism that lies in there being no explanation how a purported event happens. So ... Santa Claus supposedly circles the globe on Christmas Eve and invades houses through chimneys, leaving presents for good boys and girls. I can't say how, since there are too many miles to traverse, and too many presents to bring, and the chimneys are too narrow, and some houses don't even have chimneys. Smart boys and girls will, I think, reason that absence of "how?" is evidence of absence. Santa Claus doesn't do any of these things, if he exists at all. The same reasoning seems equally fair in the case of God creating the world by sheer fiat. "Let there be light!" he said, and thus there was light. But how? All there is to work with is the sheer content of the thought, since God is said to be immaterial. Could the sheer content cause light to exist? It seems awfully unlikely. So: absence of a good answer to "how?" sometimes ought to induce skepticism. But now here's the tricky thing. Lacking an answer to"how?" questions shouldn't always induce skepticism. I shall now do an experiment. I will let myself have various thoughts, and see what the outcome is. 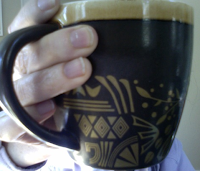 The thoughts will be along these lines: "I want a cup of coffee, I believe the coffee machine is in the kitchen, I intend to get up and make coffee ..."
OMG, there's now a cup of coffee in my hand! It seems as if having a whole series of thoughts about coffee brought about the actions that brought the cup of coffee into being. Moreover, the content of the thoughts seems to have been critical. If the thoughts hadn't been about coffee, but about (say) orange juice, I would be sitting here with a glass of orange juice, not a cup of coffee. So my thoughts, in virtue of their content, had a tangible impact on the world. It wouldn't be the least bit silly to say we just don't know how thoughts have an impact on the world in virtue of their contents, and yet -- hark! we now get to the point! -- that shouldn't induce skepticism that they do, or at least not right away. It would be reasonable to say the fact is robust (my thoughts about coffee simply have got to be part of the reason why I am now swallowing a gulp of coffee), but the "how?" question has yet to be answered. So ... how is it that absence of "how?" is evidence of absence, where Santa Claus and God are concerned, but not where the explanatory role of mental content is concerned? Is it that we are (some of us, anyway) already very skeptical about Santa Claus distributing presents, and God making light by thinking "let there be light!"? Is the absence of "how?" the straw that broke the camel's already over-burdened back? Or is this it? -- The underlying processes in the Santa and God cases are too wildly at odds with the way we know the world works; but the way content makes a difference in our brains is genuinely a question at the frontiers of knowledge. It could be some of each. I'd say that beliefs and desires get their content because of the way they causally interact with the world. 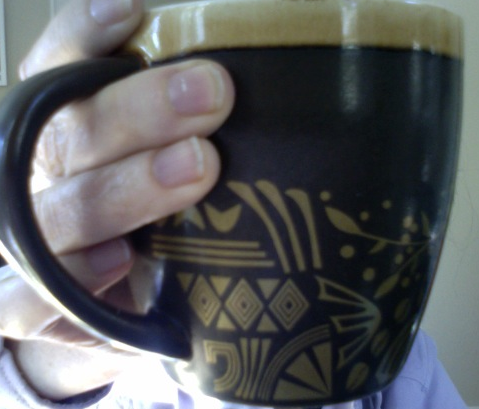 The content of my belief that there's a coffee cup in my hand is sort of "woven" by interpretation, which takes account of what normally causes the belief. Same with desires except with the causal flow reversed: my desire to catch a bus normally causes my catching a bus, and that's why it counts as a desire with that particular content. If there is a mystery here, it stems from the mistaken idea that the contents of beliefs and desires are static like written "sentences in the head" rather than "woven" by interpretation. "If there is a mystery here "
Also, the entries on narrow content and content externalism. "The underlying processes in the Santa and God cases are too wildly at odds with the way we know the world works." One can't use the laws of nature to prove that only nature exists. I call that "Dawkins' Circle". At least, that's how it looks to me. What am I missing? I think you may have missed my point. When we adopt (what Dennett calls) the intentional stance to assign mental content, the content-bearing states we assign have causal connections "built into" them. Davidson made a similar point in arguing that most belief have to be true. The nature of this sort of interpretation is such that the content has to "match the world" as closely as possible. Jeremy, What you say makes sense, but there are lots and lots of things to be said about mental content, and which things you say will generate different puzzles about mental causation. I didn't intend to get into that huge can of worms with this post, so that's why I just linked to SEP. The message was supposed to be "it's complicated". The real issue I was trying to raise is--why does the absence of a "how?" give us reason for skepticism in some cases (Santa distributing presents, God creating light), but not in others (the explanatory role of content)? Aeolus, I like dispensing with problems in one word--is it check or groan? To me all that talk of things being "beyond nature" is just pure groan. It's like erecting a wall and saying "on this side things have to make sense, and on that side they don't." Why on earth countenance another side, where nothing makes any sense in the usual ways? For what it's worth, I don't think it's complicated at all. I think the apparent complication is an artefact of our own muddy understandings. We are confused because we have failed to learn a lesson taught by the later Wittgenstein. If like Descartes (or Wittgenstein's chosen equivalent Augustine) we think that mental content is a matter of introspection -- of "reading the contents of our own heads" -- then it seems like a problematic coincidence that what we "read" internally meshes with what we do. But as soon as we remove that error, and see instead that mental content is "whatever it makes the most sense to assign, given what we do", then there is no problematic "coincidence" to be explained. It's simple, and there's no problem! Mental content is purely physical. How a physical state that manifests as a conscious yen for coffee leads to a physical state involving a mug of coffee in hand is not fundamentally mysterious. It's pure physics, with an intractable number of interactions. Each individual interaction, if it could be observed, would be entirely predictable using the models we presently have. That is the entirety of the sense in which the issue is complicated. "The real issue I was trying to raise is--why does the absence of a "how?" give us reason for skepticism in some cases (Santa distributing presents, God creating light), but not in others (the explanatory role of content)?" I admit ignorance of the literature but there appears to be an automatic assumption that thoughts exist and have causal effects. Is it not possible that the 'coffee desire' thought is actually a side effect (or mental representation) of one, or many, interactions which could include tiredness and a desire for caffeine? In this way thoughts would not be causal but merely reporting on actual chemical and hormonal levels within the brain back to the supposedly conscious part we strangely call 'I'. We should not always be skeptical just because we don't understand 'how' or the 'how' doesn't fit into our medium scale experiences. That time is related to motion, or any of the quantum effects, is not easily (if at all) comprehensible by me does not mean I should necessarily be skeptical of them, and certainly not dismissive. As our general understanding increases we can become more skeptical of the more bizarre claims (some of which may turn out to be true!) but it is on the basis of increased knowledge that we can reasonably be skeptical. Before evolution was established it seemed reasonable that the earth was created for us. Before Galileo it was reasonable to think everything revolved around the earth. Increased knowledge of the world gives more power "How?" Jeremy, Most philosophers of mind wouldn't accept all those assumptions, which is why they don't think the problem about the role of content can disappear so easily. All, I think in philosophy it's often half the work just to appreciate the shape of a problem. To appreciate the shape of the problem about content, you first have to think a lot about content--what it is, how it relates to the sort of physical properties in the brain that are causally efficacious, etc. That's why I linked both to the SEP article on mental causation and mentioned articles about content. Santa would have to violate a number of physical laws, and to do so here and now where the violations would be observable. God's creation would happen at or before the Big Bang, and our current theories of physics aren't reliable at that point. We don't have to take "Let there be light" seriously as a description. Whatever mechanisms (if any) God used in creation would hardly be describable in the language of Bronze Age sheepherders. They might not be describable in any language we know (except maybe that of string theory!). God is very different from us, and his thoughts may be efficacious in ways ours are not. There is also the possibility, as in Hinduism, that our universe is in fact nothing but thoughts in the mind of God. PS I am in fact an atheist, but I think the God hypothesis is not so easily dismissed as you seem to do here. Yes, I accept that most philosophers of mind don’t agree with those assumptions – but I’m just giving you my opinion. I would argue that most philosophers of mind have failed to grasp the deep significance of the later Wittgenstein, or the pragmatism of philosophers such as Dennett and Davidson. They key insight, in my view, is that the contents of mental states are assigned by adopting an explanatory strategy (i.e. what Dennett calls the “intentional stance”). Like “meanings” in general, they are determined by interpretation. For example, when predicting and explaining the behaviour of living agents, or cruise missiles, or even thermostats, it’s more convenient to assign content than to limit ourselves to brute physical description. No doubt the content-bearing states and the physical states are identical, but because it’s token-token rather than type-type identity, knowing that they are identical isn’t much help. Personally, I think that much “neuro” philosophy and the like is misguided by bad philosophy – of the sort that assumes type-type identity. I’d argue that once we see that the relevant contents are determined by interpretation of behaviour rather than by straightforward “reading” of physical states, it should be clear why contents are causally linked with behaviour. The causal link is “built in” by the interpretation. To use an example of Dennett’s, consider a thermostat whose bimetal strip is bent or worn out, so that to keep a room at 70 degrees, the pointer on the dial has to read ‘100 degrees’. No matter what the dial says, this is still a thermostat whose “goal” is to keep the room at 70 degrees, because its behaviour is as a matter of fact linked in a lawlike way with 70 degrees – that’s its cut-off point for turning the heater on or off. Many or most such lawlike connections are causal links. It seems to me that the spookiness of the link between our thoughts and their apparent effects IS a good reason to be skeptical about it. It seems far more plausible that your conscious thoughts about coffee and the actual cup of coffee are both consequences of chemical events occuring throughout your body than that your conscious thought actually causes anything. For one thing, it's perfectly possible (though rare) for a sleep-walking person to perform all of the coffee making behaviours without any of the conscious thoughts. This is far easier to explain if the conscious thoughts are a sidebranch of the causal chain rather than an integral link. In fact, virtually everything we learn in neuropsychiatry seems to support this answer. One possibility is that truthmakers for psychological truths include irreducibly mental properties. This is not the only possibility, however. Another is that psychological assertions are made true by physical states and properties, states and properties answering to predicates belonging to physics and chemistry. A view of this kind (which is close to Davidson's as spelled out in §5.5 and to the identity solution discussed in §6.5) would endeavor to resolve the problem of mental causation, not by tinkering with the causal concept, but by rejecting the idea that mental properties are distinct from physical properties. All parties agree that mental predicates and descriptions differ from physical predicates and descriptions. Application conditions for mental terms and physical terms diverge in ways that preclude definitional reduction of the one to the other. Perhaps it is a mistake, however, to move from this linguistic fact to a substantive ontological thesis: mental and physical predicates designate properties belonging to distinct families of properties. As the author notes "whether anything like this could be made to work is an open question." It's not as though Dennett, Wittgenstein and Davidson (not to mention Rorty and the antipodeans) can be made generally satisfying to most people (which doesn't mean they are wrong either). I DO think that Jean is entirely right to focus in philosophy of mind as the battleground of interest relative to current debates about religion. IF there is anything that will remain of "religion" in the future (assuming civilization as we know it manages to continue) it will be along some set of lines that hook up to our understanding of consciousness qua consciousness. The mysteries of consciousness (such as they are), are basically what remain of the mystery of religion. What if we began with a look at actual scientific practice (as suggested in §§6.3, 7.5) and determined what exactly science requires for acceptable causal explanation. An examination of established special sciences reveals that the very features (multiple realizability, higher-level and “broad” properties, for instance) metaphysically inclined philosophers regard as posing apparently insuperable difficulties for mental causation, are routinely invoked in causal explanations in those sciences. This suggests that, rather than let a priori conceptions of causation (or properties, or causal powers) lead us to regard mental causation with suspicion, we should reason in the other direction: revise our conception of causation to fit our actual scientific beliefs and practices. If the metaphysicians were right about causation, no science would be possible beyond basic physics (biological properties, for instance, would not be causal)." It's a remarkable sentence to throw out so causally, but I think this awareness of how metaphysical assumptions constrain all subsequent speculation is vital to keep in mind, especially in the science vs religion debate. I can't say how, since there are too many miles to traverse, and too many presents to bring, and the chimneys are too narrow, and some houses don't even have chimneys. The equivalent to that is to say, ‘I can say how I got to the kitchen, switched on the coffee machine and filled a cup with coffee’. There simply is no problem. But how is it that the thoughts have a tangible impact in virtue of their content? First, what does this question even mean? Does it mean, ‘How can thoughts be causally related to actions?’ That, I would submit, is a scientific question, not a philosophical one. We can (or will be able to) see what exactly a thought is in a brain, and we will then be able to see how that state of the brain induces something else that activates muscles. Again, no problem there. In any case, the mere thoughts by a putative god of creating a world or by Santa of distributing a couple of million presents don’t present a problem. The required actions do.